The Indian rupee and stock market rose sharply on Thursday after new measures were announced by the country’s central bank. The rupee saw a substantial rise by 138 paise to trade at Rs 65.69 against the dollar at the Interbank Foreign Exchange market. 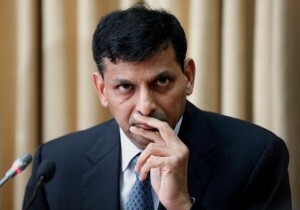 The measures were announced by the Reserve Bank of India (RBI) in an attempt to stem the currency’s slide. Traders said dollar selling by exporters and banks and fresh measures announced by new RBI Governor Raghuram Rajan to curb the rupee’s slide helped the domestic currency recover. The dollar’s weakness against other currencies overseas also supported the rupee’s sentiment, they said. Meanwhile, stock markets were up by over two per cent in early trade. The BSE benchmark index soared by 488 points to 19,055.74, while the National Stock Exchange’s Nifty rose by 153 points to 5,601.90 in opening trade. The new RBI governor announced measures late on Wednesday including the liberalisation of the financial market by enhancing the limits for exporters to re-book cancelled forward exchange contracts and opening a special concessional window for swapping foreign currency non-resident (FCNR) deposits and dollar funds, to support the rupee. Indian Prime Minister Manmohan Singh has raised concerns over the slowdown in emerging economies, which, he said “are facing the adverse impact of significant capital outflows”. “I will emphasise in Saint Petersburg the need for an orderly exit from the unconventional monetary policies being pursued by the developed world for the last few years, so as to avoid damaging the growth prospects of the developing world,” he said in a statement prior to his departure for the G20 Summit in Russia.